Uncover Your Creeks turned community members into citizen scientists through urban watershed restoration and education. Through the Uncover Your Creeks program, Evergreen engaged community members in urban watershed restoration and education. Participants dove in by removing invasive plants, reintroducing native plants and collecting and analyzing water quality samples from their local urban creeks. Before we built our cities, streams used to flow freely across the landscape. Those streams are still present, but they are confined to underground pipes and concrete channels that are subject to flooding, carry a slurry of contaminants picked up on the journey over city streets and are inhospitable to aquatic life. During the development of our cities, forests were removed and the land was disturbed. The disturbed lands, including the riparian area—the area immediately beside a stream—are now dominated by invasive plants. Uncover Your Creeks volunteers worked to remove invasive plants, reintroduce native plants and restore the biodiversity of riparian areas and the health of the stream. Water quality in urban streams is diminished by inputs of polluted stormwater. This can include spills from residential, commercial and industrial sites, excessive fertilizer use, and sometimes, sewage overflows. By sampling and evaluating the water quality, we can determine the health of the stream, the impacts humans are having, and what actions we can take to mitigate those impacts. 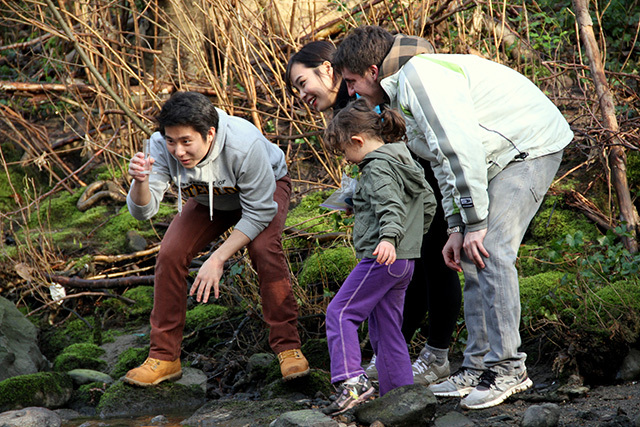 Uncover Your Creeks encouraged participants to become Citizen Scientists. By learning about local ecosystems and collecting data, we better understood how to restore and care for our urban watersheds.